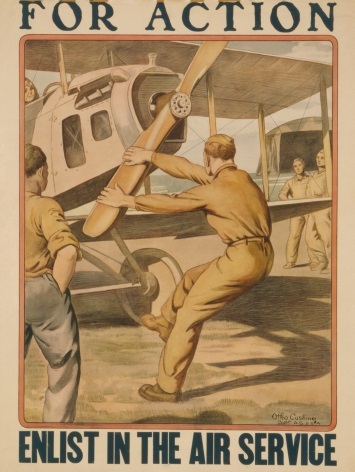 Vintage U.S. WW1 air serice enlistment poster. 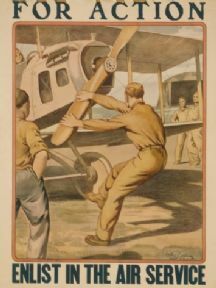 It shows a man starting the propeller of an plane. This artist was Otho Cushing. Vintage War Poster The United States Army builds men. Apply nearest recruiting office.